Do you need professional help for cleaning the most delicate yet precious part of your interior – the upholstery? Are you sure you can deal with the stains on the upholstered furniture? It’s highly recommended that you should rely on upholstery cleaning company in Ealing W5. Glory Clean provides industry-standard upholstery cleaning in Ealing W5 at a low cost and affordable price. Our upholstery cleaning service specialises in delivering optimal customer satisfaction every time you count on us. Our upholstery cleaning technicians are equipped with the most advanced machinery to provide the best solutions your upholstered furniture deserves. Our upholstery cleaning specialists are thoroughly trained and qualified professionals who are readily available to suggest and recommend the right treatment for different fabrics. Whether it’s a rare or delicate fabric, rely on our steam upholstery cleaning service. We have the experience to treat the fabric with the most suitable cleaning techniques. Upholstery cleaning experts at Glory Clean use the steam cleaning method that reaches the roots of the upholstery to eliminate stains, dirt, and bacteria. Our steam carpet cleaning is known to be one of the best solutions to clean the upholstered furniture fibres. More importantly, this leaves your upholstery almost dry and extends its life. In addition to, it brings more benefits to people that suffer from most common skin conditions and allergies like itchy skin, asthma. Our steam cleaning technicians are professionally equipped with the largest selection of tools and equipment. 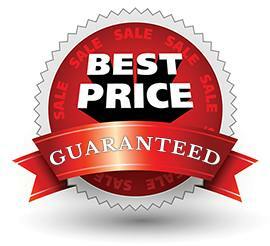 Your upholstery will have a refreshing and long-lasting look, and we assure 100% satisfaction guarantee. The tools we use are specially chosen and designed to deliver professional cleaning solutions to all of our customers. Regular cleaning of upholstered furniture extends the life of your furniture and is done with professional equipment and experts. Our upholstery cleaners will clean stains and spots effortlessly. We inspect your upholstery thoroughly before we start cleaning. Our cleaners analyse the stains, fibres, structure, composition and texture of your upholstery. All these things will help us know the most appropriate solution for your fabric. Cleaning upholstery is not as easy as it looks. There are so many things you need to consider like what kind of dirt or stains your upholstered furniture has and what exactly causes the dirt and debris to accumulate. Our professional team has the skills and experience to handle all kinds of upholstered furniture pieces and make sure they are spotless by the time we are done. Contact us right now and let us provide you with the industry-best upholstery cleaning in Ealing W5!